Renters Warehouse is America’s leading real estate investment services company. Founded in 2007 and backed by growth equity investor and majority stakeholder Northern Pacific Group, and under the leadership of President and CEO Kevin Ortner, Renters Warehouse now manages more than $3 billion in residential real estate, servicing 14,000+ investors across 22,000+ residential homes in 40+ markets and 25+ states. 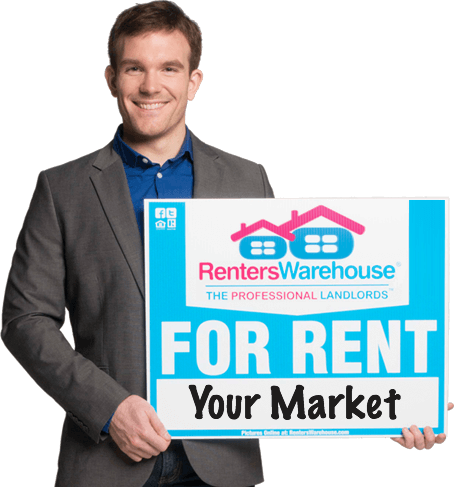 From investment planning and acquisition to property management and disposition, Renters Warehouse is the largest, full-service “Rent Estate™” resource of tenanted properties in the nation. In 2016, Renters Warehouse was the only property management company focused on single-family rentals to be rated by Morningstar Credit Ratings, a nationally recognized statistical rating organization. Since acquiring OwnAmerica in December 2018, investors can plan, research, buy, track and sell their real estate investments all in one place with the Renters Warehouse investor marketplace. Plus, renters can find quality homes to lease. In 2015, the company officially trademarked the term Rent Estate™ to redefine the entire SFR (Single Family Rental) industry as more traditional real estate gives way to this new lucrative asset. Through their dedicated Portfolio Services Division led by Chief Investment Officer Anthony Cazazian, the company also brings professional, scalable and efficient SFR property management solutions to investment portfolios with both centralized services and local market expertise and staff. Renters Warehouse is a nine-time honoree of the prestigious Inc. 500|5000 list of the fastest growing privately held companies in America and has been awarded 22 Business Stevie Awards both internationally and stateside. It has won countless culture and “Best Places to Work” awards since 2010. We’ve been included on the Inc. 500 | 5000 list of fastest-growing privately held companies in America for NINE years in a row now, earning us Honor Roll status…plus. We were also honored as one of America’s “Best Places to Work” in 2012, 2014, 2015 & 2016 by Outside Magazine. We currently have offices in over 42 markets and 25 states nationwide, and are rapidly growing our corporate footprint. We were named as one of the “Best Places to Work” by the Minneapolis St. Paul Business Journal in 2010, 2011, 2012, 2014, 2015 and 2016, and by the Phoenix Business Journal in 2013, 2014 and 2017. We’ve received 21 Business Stevie Awards both internationally and stateside as recognized leaders in real estate, business management and innovation. We’ve maintained a consistently strong rating with the Better Business Bureau, including multiple A+ scores across the nation.